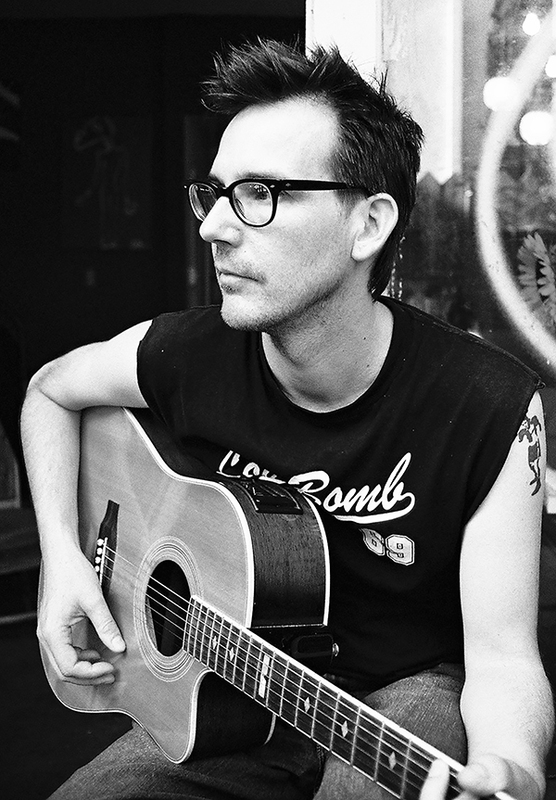 Johnny Otto has the soul of a 50's musical icon reborn as a modern singer/songwriter. His art is stripping music to its barest essentials: a few chords, simple but powerful lyrics, and a whimsical, haunting voice. He draws his inspiration from all styles of music including JOHN LENNON, THE VIOLENT FEMMES, ROY ORBISON, LOU REED, THE SHINS, IGGY POP AND DAVID BOWIE. GHOST IN MY LIFE is a collection of nine songs written over the period of approximately four years. Every song was written, performed and recorded by Johnny in his home studio, BIONIC MUSIC LAB, which he built specifically to produce his own material and material of friends who he admires. Johnny has resided in Hollywood since 1990. He spent his youth in Canada with his family where he attended private Catholic schools and eventually went to film school at the local university. That is when he abruptly gave up music to concentrate on film. "I had nothing to write about at the time. No inspiration. No great passion in my life. So I gave it up". That was 1987. Twelve years would pass before Johnny picked up a guitar again and a few more before he'd sing his first song ever. "I never thought of myself as a singer/songwriter. I was a bass player". Johnny studied bass guitar when he was a teenager with GORDIE JOHNSON of BIG SUGAR fame then went on to play in several unsuccessful cover bands in Canada. It wasn't until he moved to California and met Shirley Levi that he began writing songs and singing. "She's given me the greatest gift of all...a voice". "Seems to me to be sort of like a late night/early morning confession session, twangy and intimate, this reminds me of the great observant bespectacled singers of the pantheon...Marshall Crenshaw, Jarvis Cocker...music this warm and romantic in times this cold might be the mark of a true pervert....strum on...."